There are numerous business opportunities for entrepreneurs with an enthusiasm for sports who would rather not open business they have no interest in, like frozen yogurt franchises. The sports industry is a multi-billion dollar industry that encompasses various sectors. You can start a business selling sports merchandise or teach it in a school setting. You can also look into sports management if you have managing experience. There is no limit to what you can do in terms of sports and business. 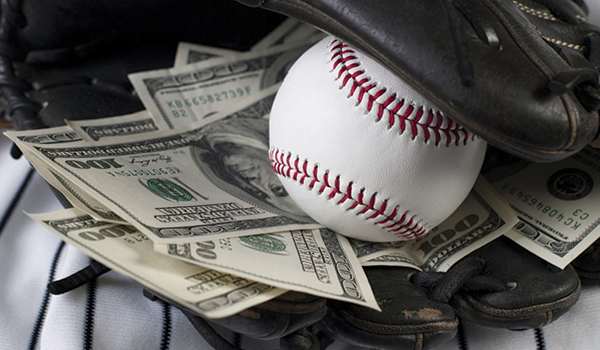 Here are some of the best ways to profit from sports. Professional athletes make an exorbitant amount of money. Consequently, you stand to make a respectable sum as well, by representing them in their business endeavors. Becoming a sports agent is not easy. First, you need an education, preferably in business. Then, you need to learn communication skills and do a reasonable amount of networking. You can choose to join a sports agency or create your own management service. As long as you know how to find opportunities for athletes, you can expect to enjoy a fruitful career. Sports agents can earn anywhere from $11,000 to $600,000. High salary potential is what makes it one of the best ways to profit from sports. This may seem like a pipe dream to some, but you can definitely make a profit from sports with sports betting. Although the practice is illegal in most states, there are some areas where sports betting is legal. Those places offer an excellent opportunity to make money profiting from sports betting. If you are knowledgeable in sports teams, management and play styles, you may do well in this endeavor. If not, you can use a systems like Sports Profit System or similar, which provide industry leading insight and analysis to help you make winning picks at an affordable price. This method is not recommended to everyone especially those who think the only type of business is the “sell my idea” business model. However, it can certainly be a fun way to profit from sports if you are able. Opening a sports training facility is a lot like opening a gym. You need equipment, trainers and a lot of space. However, your profitability is going to depend on your reputation. Athletes in training want to know that they can get the most out of their time in your facility. Thus, it is important to get the word out about your training programs. Create a well-equipped environment and try to hire trainers with extensive work experience. Once you build a respectable name, you can start enjoying the profits of membership fees. Sports training facilities are a great way to profit from sports if you want to start your own brick-and-mortar business. Sports fans are some of the most passionate people in the world. They go to great lengths to express their support of certain teams. That is why sports memorabilia sells for so much. Signed jerseys or balls sell for thousands of dollars each. You can make a business out of collecting these items and selling them. It will take a lot of work scavenging for legitimate sports memorabilia. If you choose to track athletes down yourself, you are in for an even more difficult time. However, the profits you make from your efforts will most likely prove worthwhile. Create an online storefront on a site like eBay. Or, consider opening a brick-and-mortar store. Customers can take a closer look at the merchandise that way. Just remember to keep depreciation methods in mind to make sure you do not lose money on your investment. The immense profitability that comes from signed goods makes this is one of the best ways to profit from sports. Sports journalism is a thriving industry that benefits from constant interest in sports. There are print magazines and various websites that enjoy steady viewership every day. If you have a talent for writing, you may want to consider starting your own publication. You can build a reputation by writing for other, more established magazines. Then, you can create a website or blog to share your own style of content. Eventually, you will have the experience and reputation to profit from your own sports magazine. It is one of the best ways for sports fans and writers to profit from sports. The sports industry has a lot to offer in terms of business opportunities. You can open a store that sells sports-related goods. You can also open a training facility that focuses on a specific sport. This is a great way to attract loyal members to your business. If you have a knack for writing, you can even choose to start your own sports publication. Give the ideas on this list strong consideration if you are an entrepreneur looking to profit from sports.